Shall I Kill The Choper? Well honestly, there's no cheat to earn Fanbucks. The only legal way to do so is to participate in contests and doing offers. Please note that you may be banned permanently if you are caught cheating on Fanup. Cheers! Mate look, i got master guide smith, which is an special editing tool, which just help you to make your guide more presentable, but it all matters on your content, so if your content is good, you'll be awarded. You do not need the Master Guide Smith badge. The most important feature of a guide is the detailed text of the guide. Yeah, pictures and videos and colors do help, but the main thing is the details in your guide. That's the most important part. i can translate and i can go to web translators also but they dont translate that nice and my guides have a lot of images so is kinda hard ot put them here.... arent u pt also? I don't know if you have already, but you could try Babylon. I hear it's pretty good. 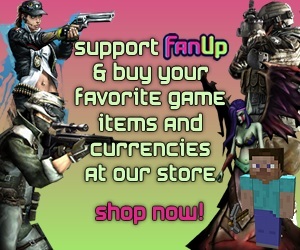 Its good to see your work, if you can make your guide more presentable, then you might just earn more fancoins!! Your guides are very poorly written and will not pass. You need to put more effort into the guides if you'd like to earn FanCoins and compete on the weekly. Hey mate. I'm glad you want to earn FanCoins, but don't post useless pictures. Those pictures are not very useful, so cut that down and you don't need to comment on all your pictures either. So, please stop spamming. Thanks.